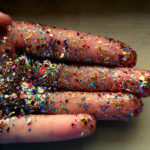 December 4, 2018 – With the Christmas season in full swing and families looking for art projects to do with their kids, NatureKids BC encourages families to consider eco-friendly alternatives to glitter this year. For many people, Christmas just isn’t Christmas without glitter and sparkly accessories, however, the majority of commercial glitter products use materials that are hazardous to wildlife, birds and fish. 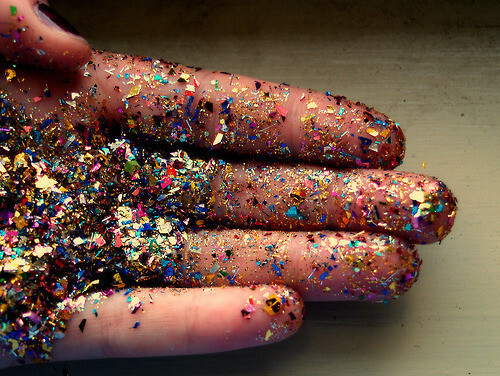 Most glitter is made from plastic sheets which are cut into tiny pieces and when washed down the drain, glitter particles join the subset of marine plastic litter that is known as microplastics. 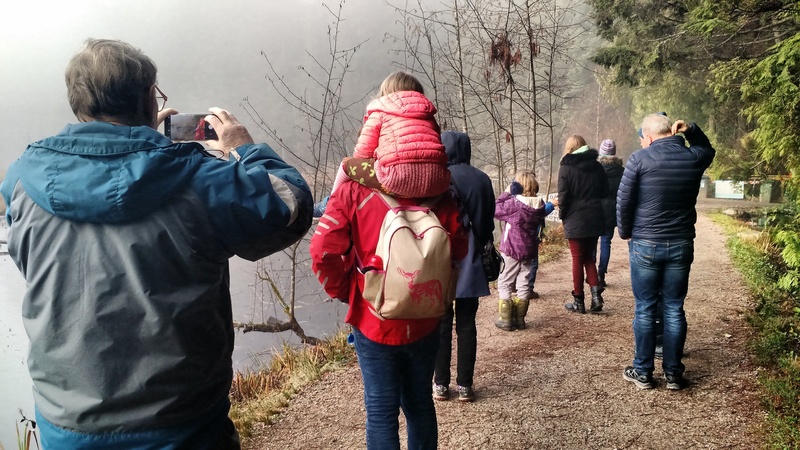 November 30, 2018 – This Saturday morning, December 1, 2018, children will swap their screens for binoculars to count birds in Stanley Park as part of an event hosted by Bird Studies Canada, NatureKids BC and Stanley Park Ecology Society. 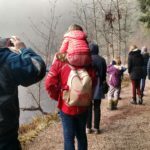 The Christmas Bird Count for Kids (CBC4Kids) helps kids and their families learn about wild birds in our neighbourhoods and contribute to a nation-wide citizen science project while spending valuable time in nature together. Now in its 8th year in Canada, this popular family event helps create an annual snapshot of how the birds in our parks are doing during the months of December and January while highlighting any bird species that need our help. May 9, 2018 – NatureKids BC is launching a new pollinator citizen science project this week that encourages kids and their families all over British Columbia to collect data on local pollinators. The project will provide opportunities for children to get involved in real science and learning about nature on their doorstep. Through pollinator surveys and education materials, children will learn about wild pollinators and how to identify them. 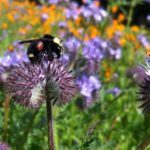 They will collect data on the abundance and diversity of bees, wasps, and butterflies in green spaces in their local area through data collection events and be encouraged to get involved in stewardship activities that increase pollinator habitat.